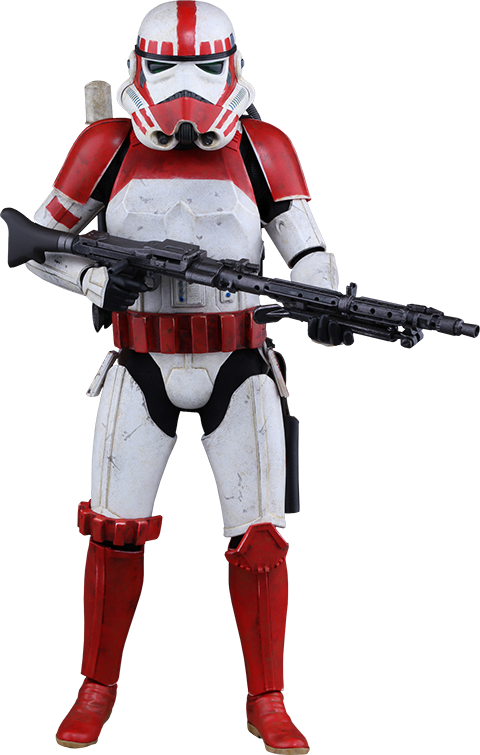 Star Wars Battlefront is one of the most sought after Star Wars games of 2015, with 12 million copies sold since its release in November - it was even nominated for the Best Shooter game in The Game Awards 2015! 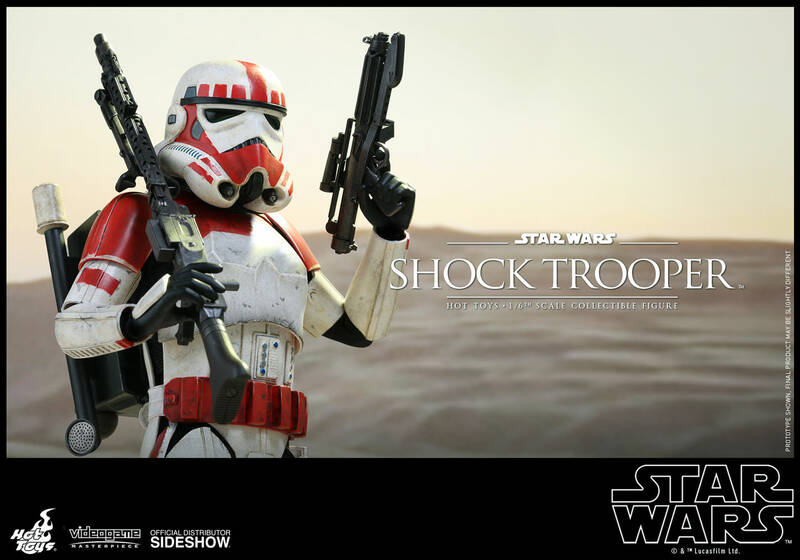 Fans were very excited to get the chance to play as a wide variety of Star Wars characters in this visually stunning game! 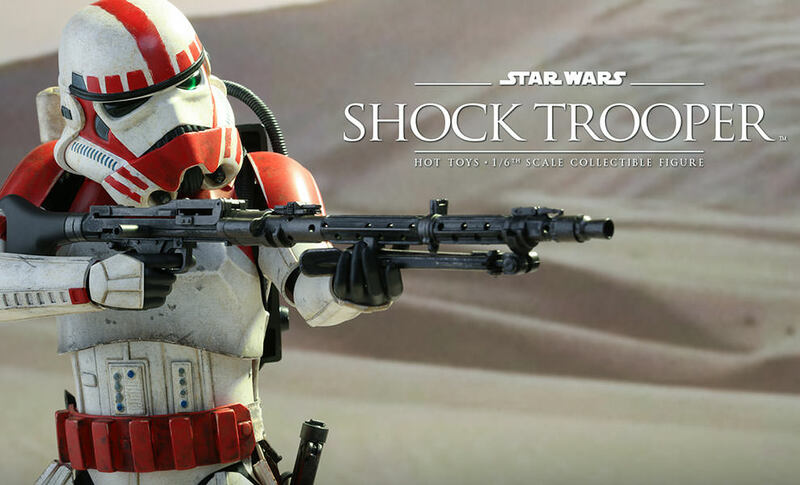 A big Star Wars fan, Hot Toys is thrilled to be creating a series of 1/6th scale collectibles based on this beautiful game! 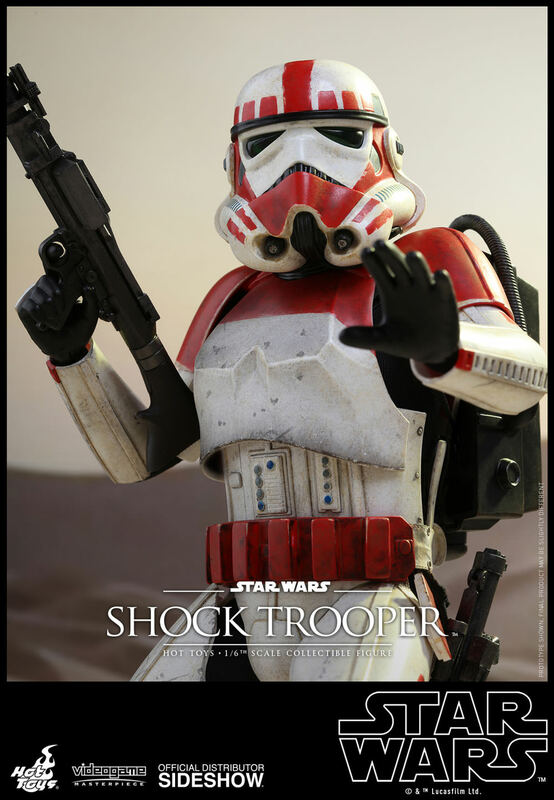 To kick-start this new Star Wars collectible series, Sideshow and Hot Toys are delighted to officially present the sixth scale collectible figure of a unique Imperial trooper from the game – the Shock Trooper! 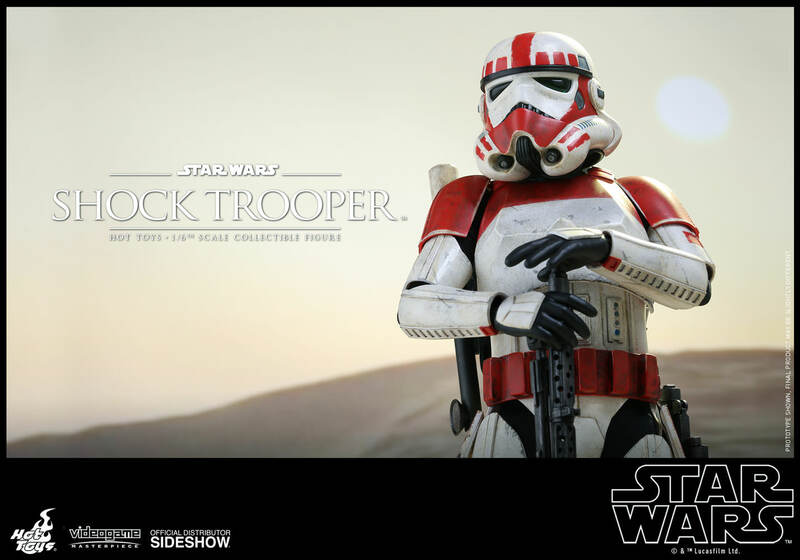 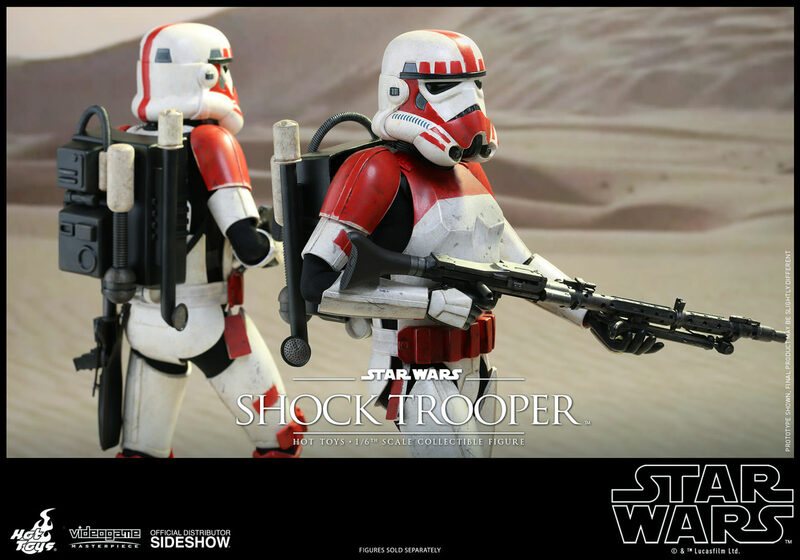 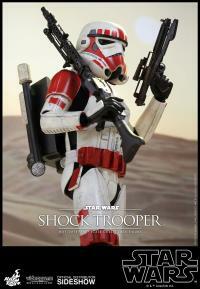 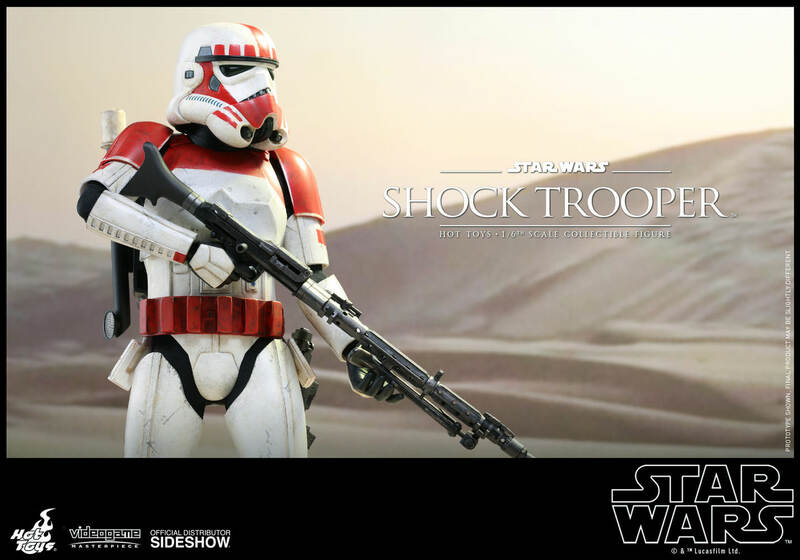 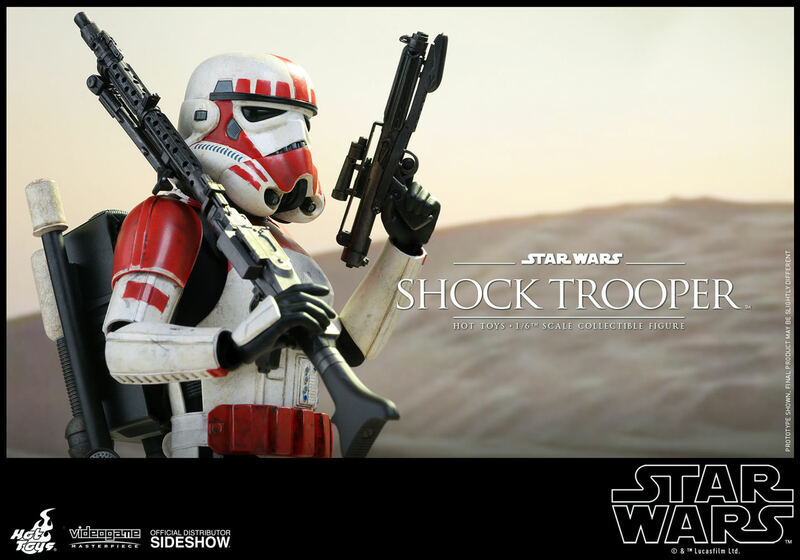 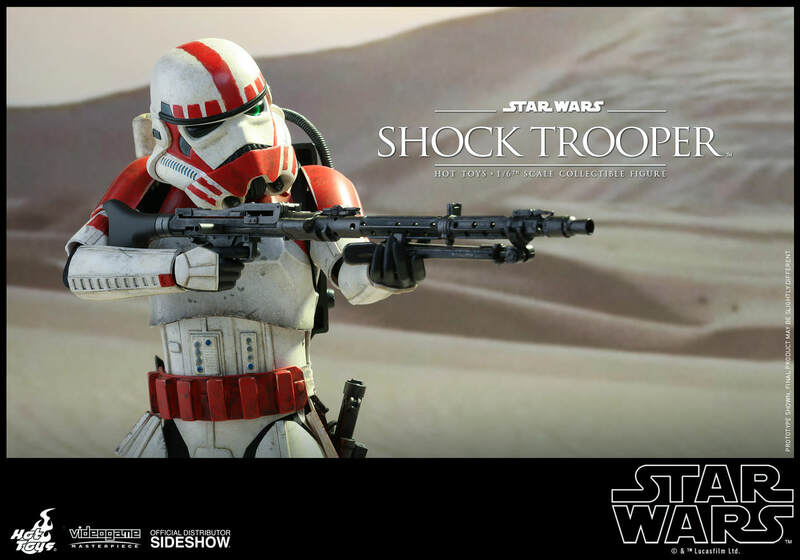 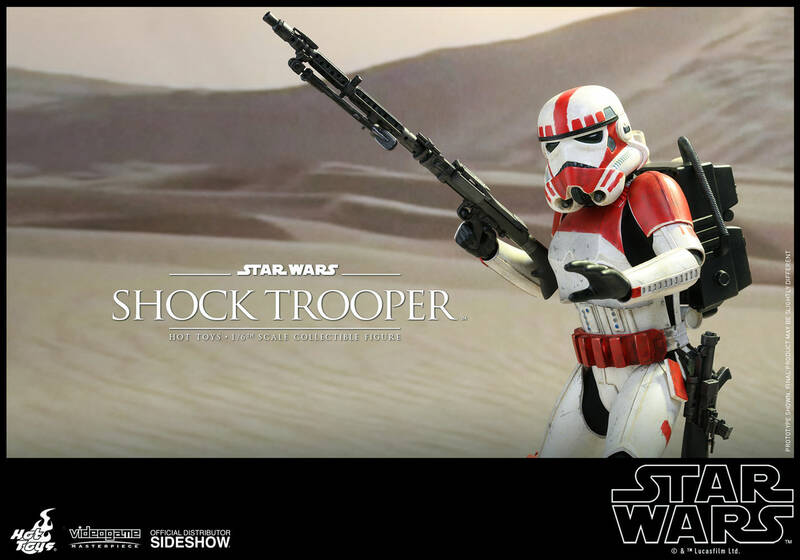 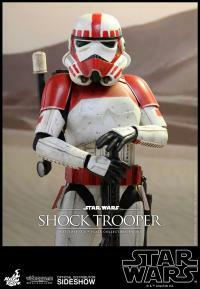 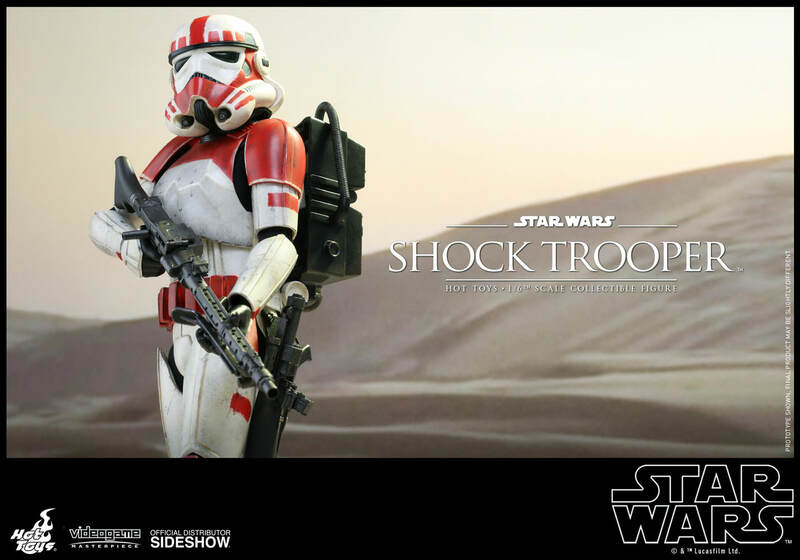 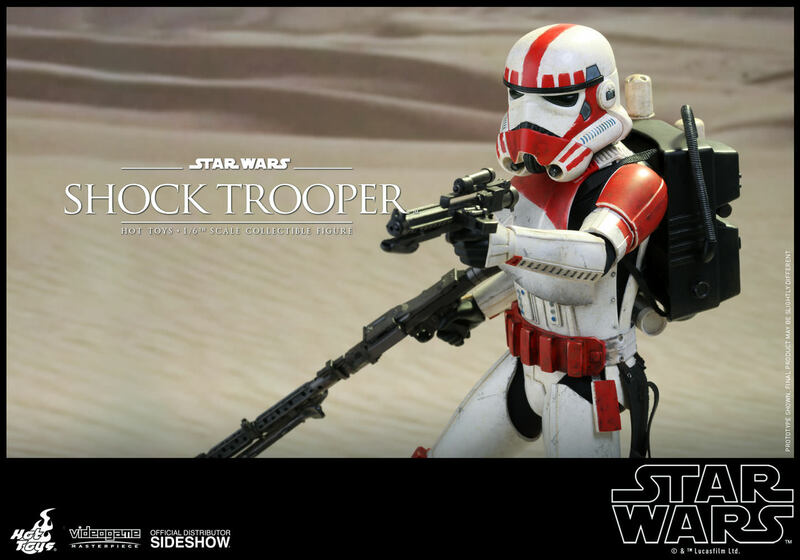 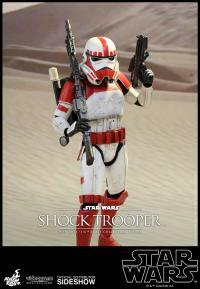 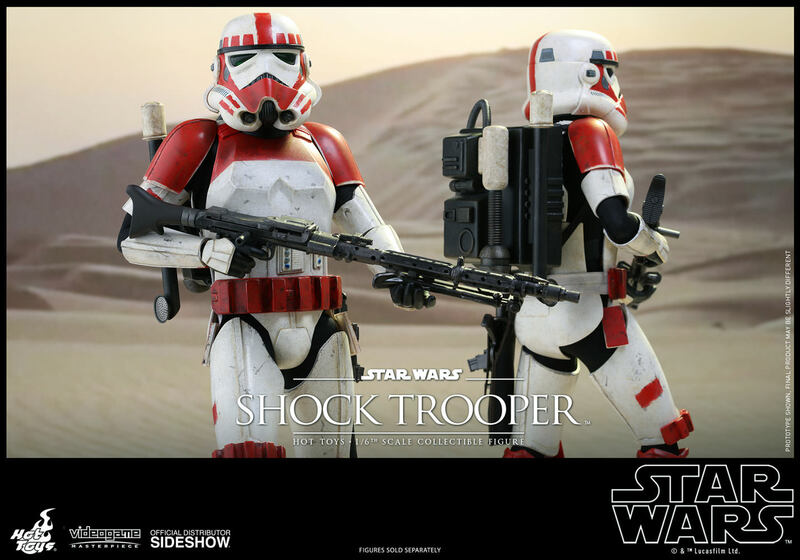 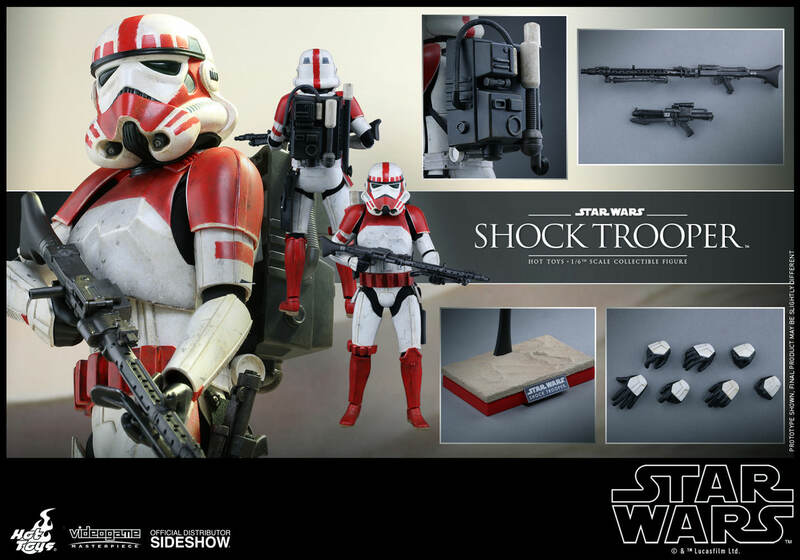 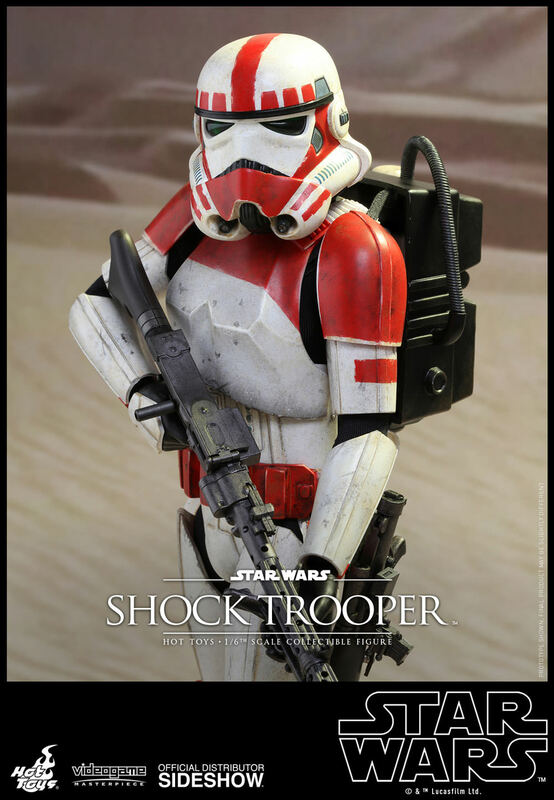 The highly-accurate collectible figure is specially crafted based on the image of the Shock Trooper in Star Wars Battlefront, featuring meticulously crafted armor and helmet, a distinctive red and white color scheme on the armor with weathering effects, detailed weapons and backpack, and a desert-themed figure stand! Star Wars fans, don’t pass up on the opportunity to add this Shock Trooper to your display! 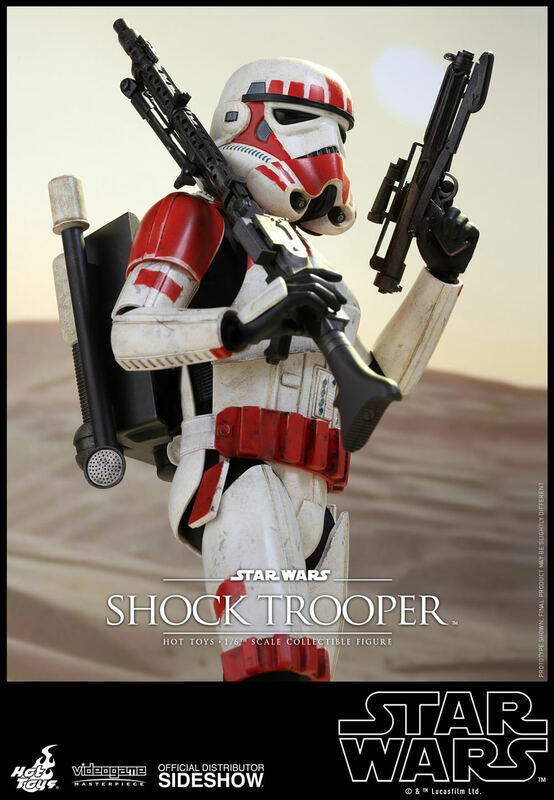 Stay tuned for more Hot Toys collectibles based on Star Wars Battlefront, coming soon! 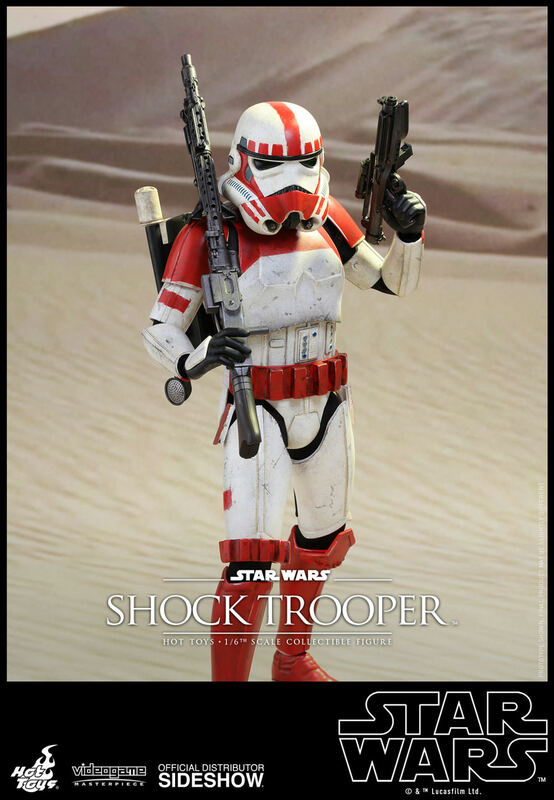 Finally had this one arrive the other day. 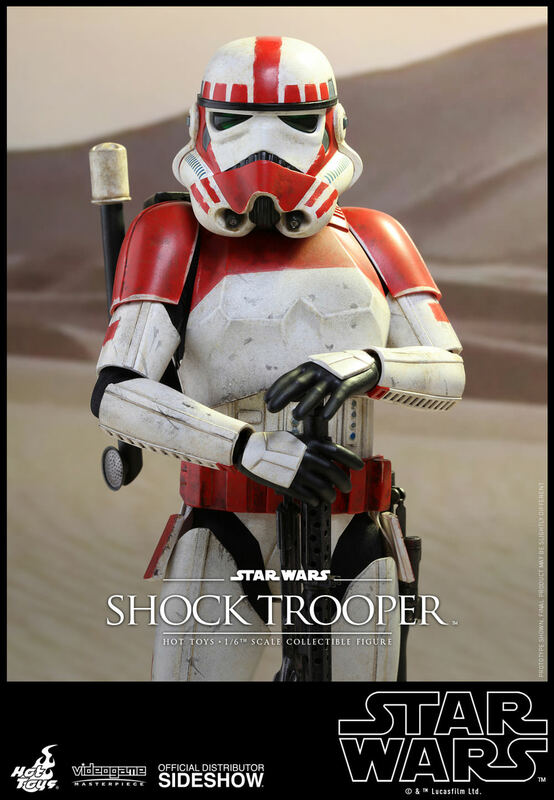 I can honestly say that after a bit of fun posing, and deciding how to display it, this figure has quickly become one of my favorite troopers! Highly recommend picking one of these up if you're like me and have a weakness for OT troopers.